On Saturday #209 (#29 for Harper) my family allowed me to sleep until almost 8 am. Unaccustomed to a few extra hours I woke up with an achy back and a feeling I describe as sleep intoxication, you know that feeling of getting enough sleep that leads to good feelings? Giddy with rest? I took the day at a relaxed pace. There was no baseball game to rush to, nowhere that I had to be. I mowed grass, played with the kids and eventually went for groceries. Roo was more than happy to be my sidekick while I mowed. He is growing so fast. He is a great helper. Truth be told, Roo just wants to be where I am. No matter what I am doing, as long as he is at my side he is pretty happy. It is a source of frustration in my marriage that Roo is so attached to me, my husband tells me I have made him a Mama's Boy. Well, so be it. He loves his Mommy, I love him. He will be too big to want to hang out with me before too long, so I happily soak in every minute of him being a Mama's Boy. Harper is hilarious. A happier baby has never existed. You scoop Harp up in your arms and she delights you with laughter, smiles and lots of sloppy kisses. She is mobile, crawling at record breaking speeds. Getting into EVERYTHING. Trying to walk, giving me mini heart attacks all day long. My 7 month old can not be ready to walk! I am not ready. It is funny how dull our weekends have been, but how I have never been more satisfied at the end of the weekend. I have found pleasure in the small things. Taking a walk with my kids in the morning. Laying on the floor coloring with markers with Roo. Holding Harper until she drifts off to dream nestled against me. I hope that you had a great weekend with the people that you love. 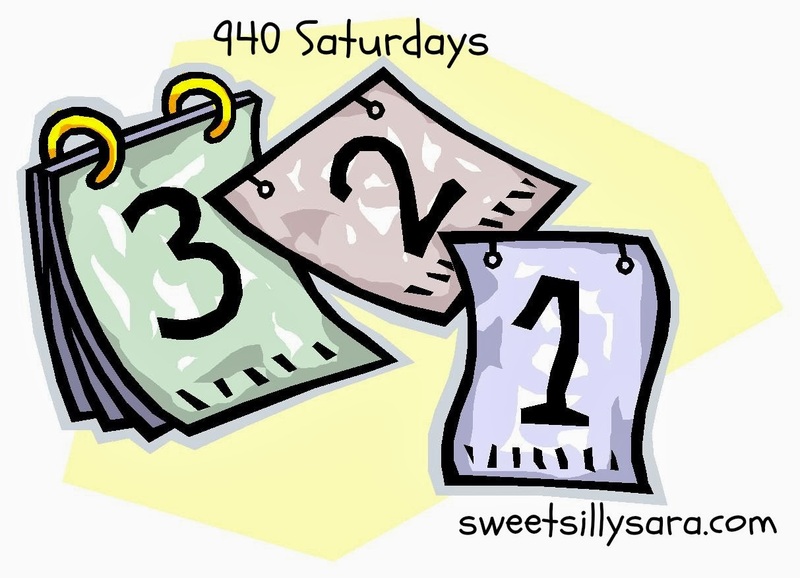 You get 940 Saturdays from birth to the time your kids are ready to go to college. Make the most of each one!